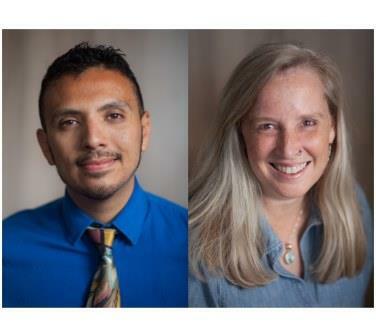 The Windy City Times spotlights Development Manager Gil Zamora and Communications Director RoiAnn Phillips for their work on birth equity. Community health and early parenting non-profit organization HealthConnect One features a culturally diverse staff, the majority of whom are women, that includes both longtime advocates RoiAnn Phillips, a lesbian who is also a mother, and Gilberto “Gil” Zamora, who is gay. Although HealthConnect One is not an LGBTQ-focused agency, both Phillips and Zamora are working to incorporate the LGBTQ community’s concerns within the structure of everything the organization does. Zamora’s role as development manager is focused on fundraising and creating new ways for people to understand the work HealthConnect One does and the challenges communities across the country face. Both Phillips and Zamora are from California and made their way to Chicago for different reasons. Phillips grew up in Santa Clara and graduated from Santa Clara University with a BA in theater arts. She moved to Chicago to explore and for the first year worked and lived with five other people as a Claretian Volunteer on the Southeast Side of the city. Over time, Chicago became her home and she has lived here ever since. In addition to her nonprofit work, Phillips has also done spoken-word poetry for the past 24 years. Her best long-term gig was with her saxophone-playing friend Camille Rocha, who now lives in Austin, Texas. Phillips explained that they performed for three years at nonprofit fundraisers, street festivals and other locales and were always well-received. Zamora grew up in the Compton area of Southern California and began his nonprofit career with AmeriCorps at 17. He moved to the Bay Area and this opportunity connected him to various immigrant communities and spurred on his advocacy for early childhood education. Phillips, Zamora and the rest of the HealthConnect One team will be launching the Birth Equity Leadership Academy for community leaders nationwide to gather and share their talents, skills, resources, challenges, ideas and creativity in service to birth equity.